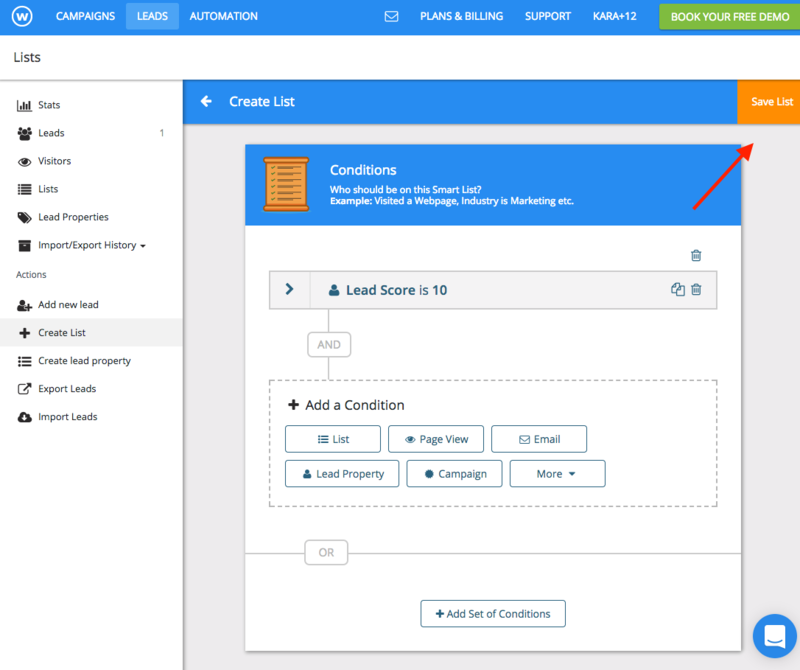 Smart lists can be used to dynamically filter leads who meet specific conditions into a list. 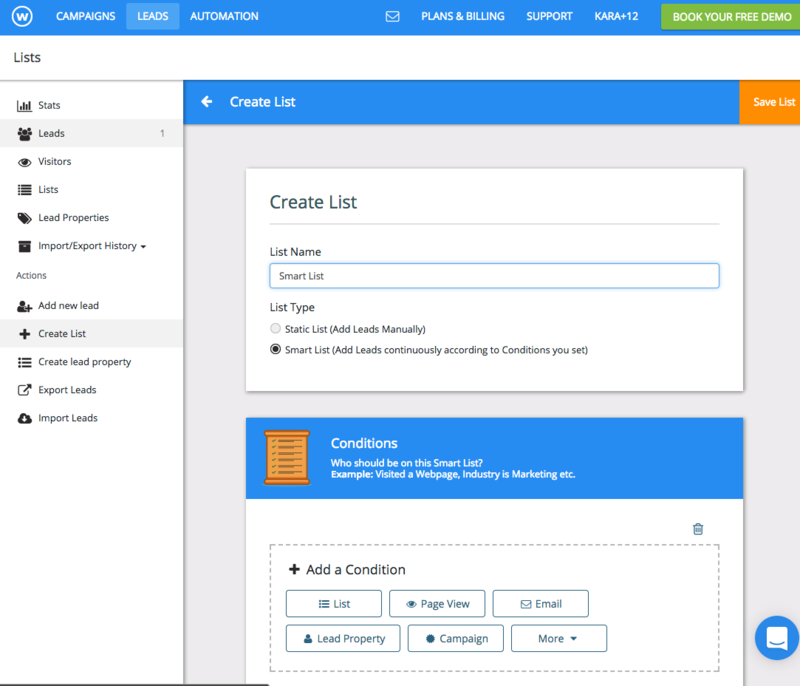 Choose from a number of conditions and watch as Smart Lists adjust to segment the exact audience you want to target. 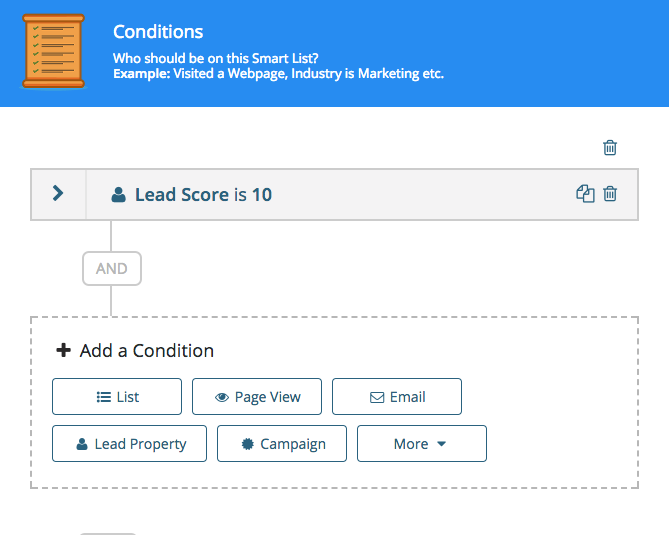 In a smart list, it's possible that a lead can be part of your smart list, but then later be removed since they no longer meet your conditions. Based on this smart list, if a user converted on my Christmas pop up campaign and has a lead score of 10 they will be a member of my smartlist. 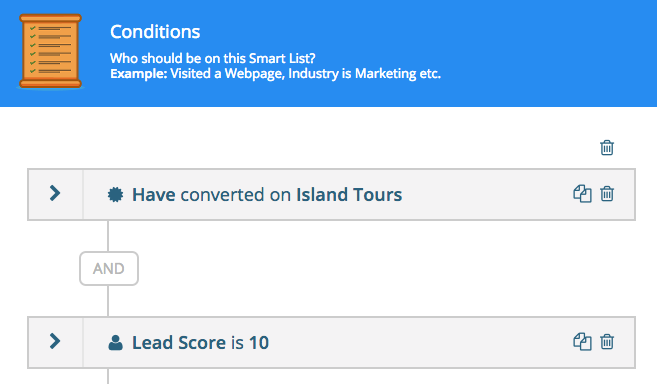 However if they surpass a lead score of 10 they will no longer meet the conditions of this smart list and will be removed. For more information on smart list conditions, click here.